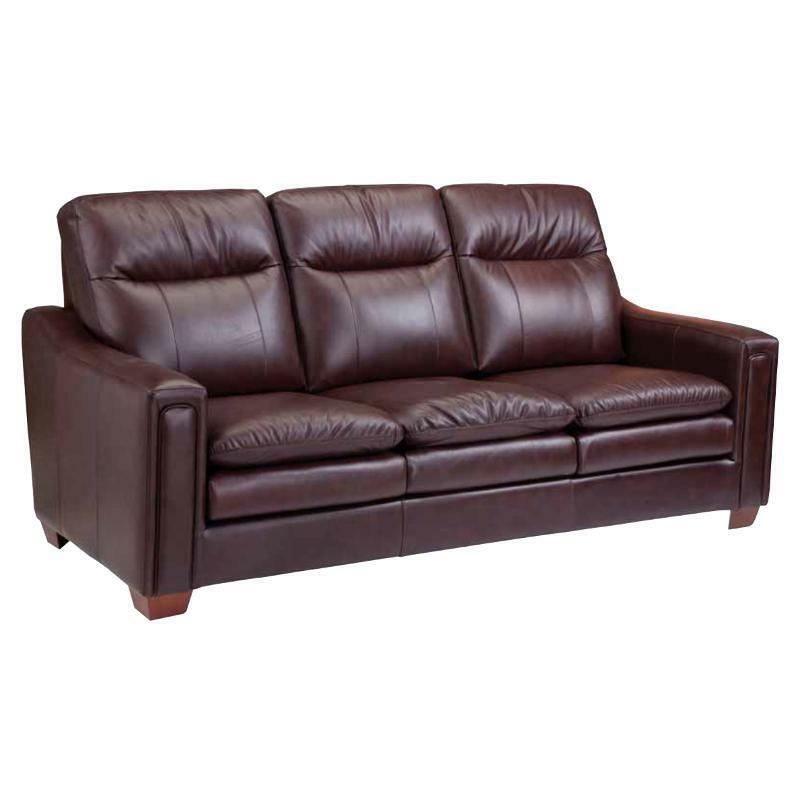 Add style with this Simcoe sofa from Leather Craft which features red Italian leather upholstery, track arms, channeled back and plush seat cushion. Place this sofa in your living room for a complete and inviting look. 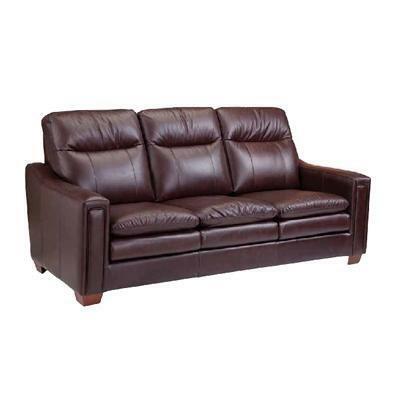 Additional Information Tapered wood legs in walnut finish; All Canadian made; Hardwood frame; No sag construction; Arm height: 24"
Seat Padded pillow top seat cushions; Laminated foam; Seat height: 18.5"; Seat depth: 21"